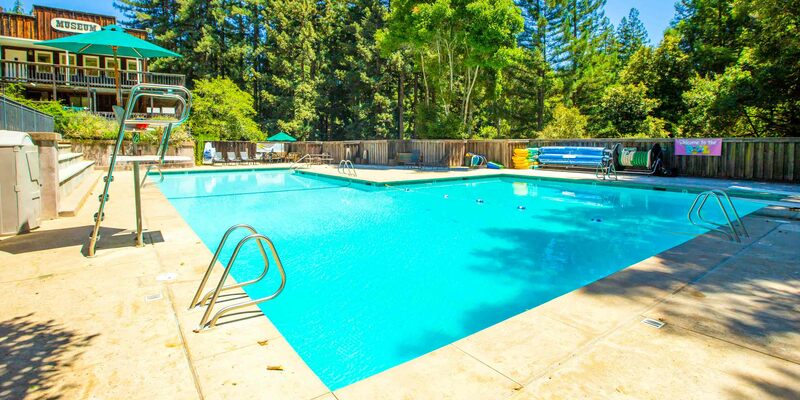 Kennolyn Camps, Santa Cruz Mountains is situated on our 60 acre Stonecreek Village property with full access to our adjoining 240 acre Hilltop Hacienda. Click the arrows to move through our camp, or jump to any location by clicking the icon in the bottom right corner. 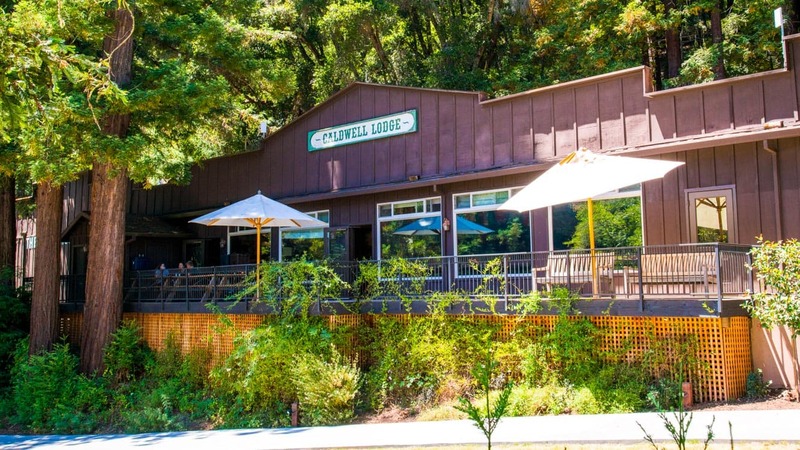 The entire camp community comes together in the Caldwell Lodge for meals each day. We also assemble in the Town Square for daily Flag Raising and announcements, as well as for many evening activities. At the end of each session, drama and music performances are held on the Town Square stage Twice each week we gather after dinner at Campfire, our own outdoor amphitheatre where we share songs, skits and a very special camaraderie. 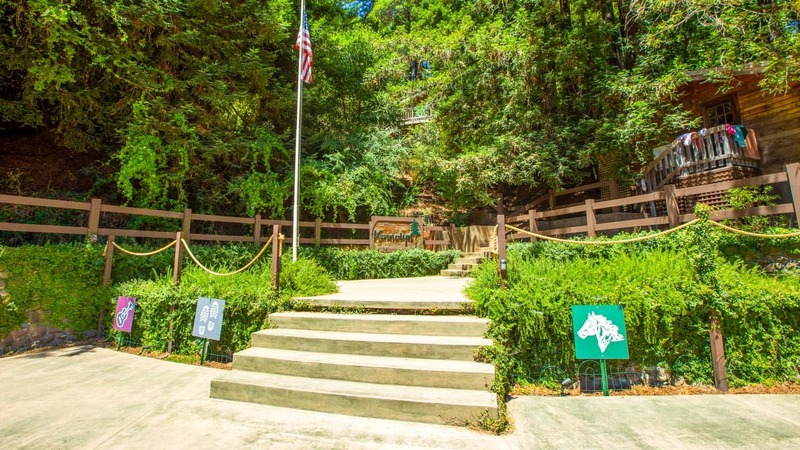 These three areas at the very heart of camp are integral to the Kennolyn spirit of togetherness. 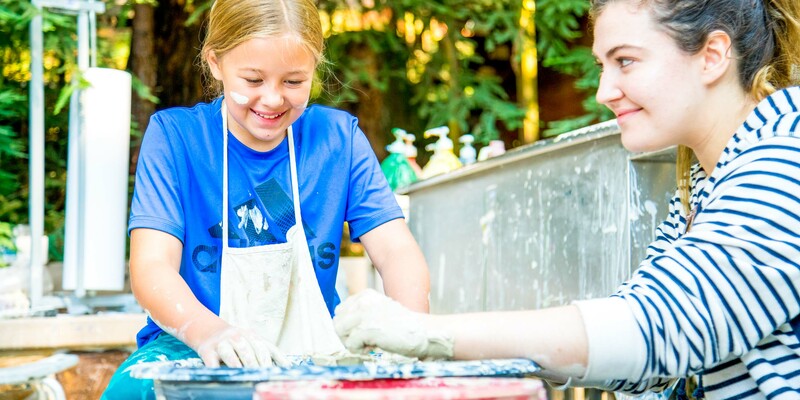 Overlooking the Town Square is the Arts and Crafts Center, where campers learn silk painting, scrapbooking, wheel pottery and many other creative skills. Horses have played a major role at Kennolyn since the 1940’s! 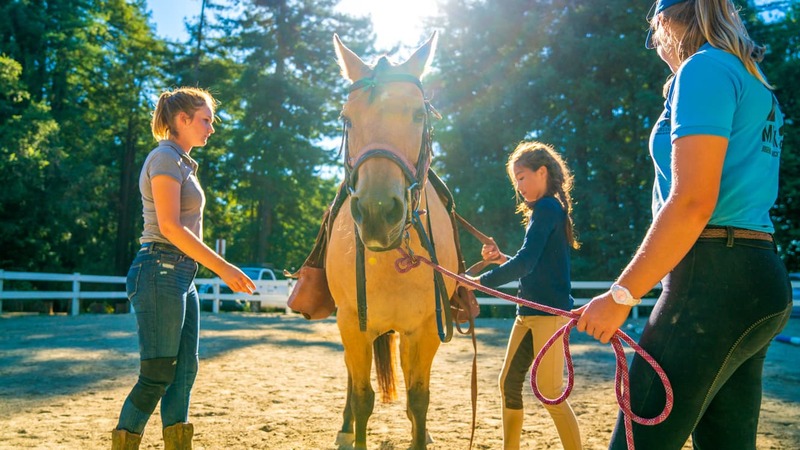 Our popular Equestrian Center, located at the Hilltop Hacienda, has a large barn and paddocks that house more than 25 horses, three riding rings, jumping standards, wash racks, tack rooms, a bootery for loaner hats and boots, and endless miles of beautiful riding trails through our redwood forests. Resident campers in riding activities ride a shuttle from Stone Creek Village to the Equestrian Center. 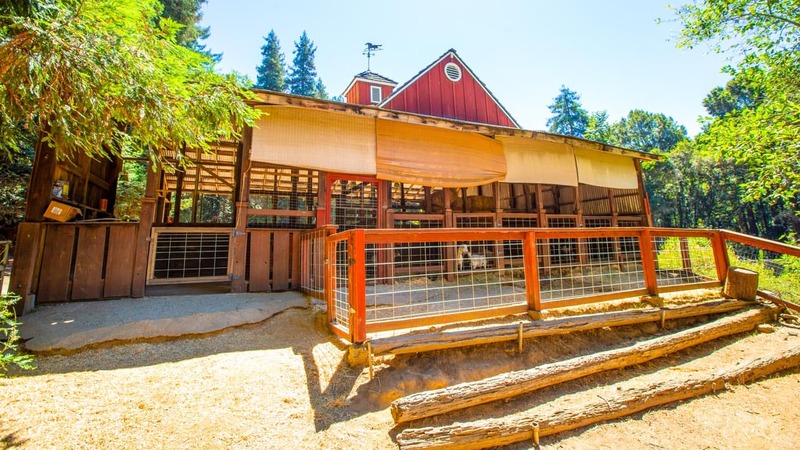 Stone Creek Village’s barn houses our farm animals for our Animal Care program. 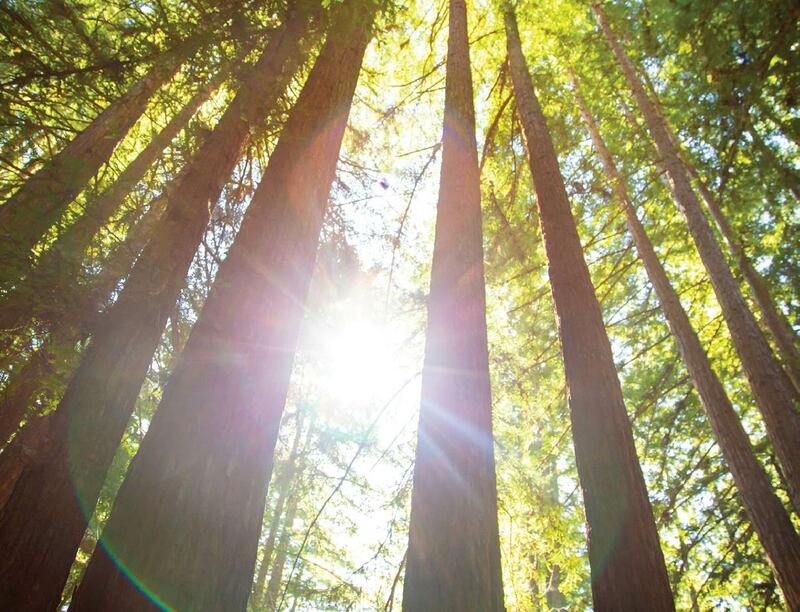 Our magnificent redwoods are both perfect anchors and stunning backdrops for these exciting and confidence building adventures. 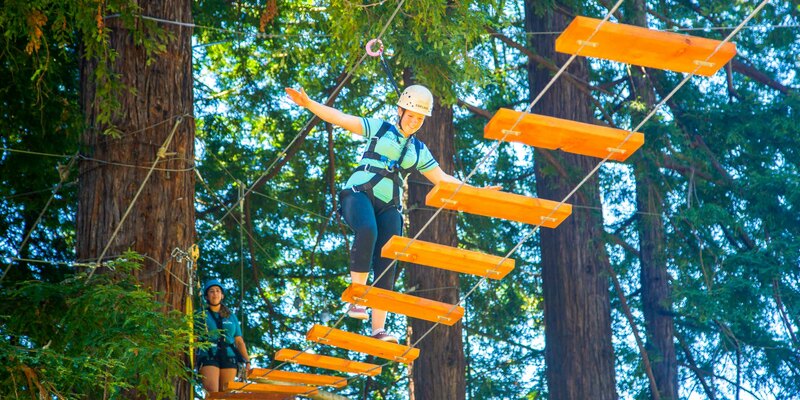 We have a multi-level climbing rock wall and three different ropes programs with elements for all ages and skill levels, including Log Cross, Vine Traverse, Plank Walk, High Y, Flying Squirrel, Team Beam and Zip Line, among others. 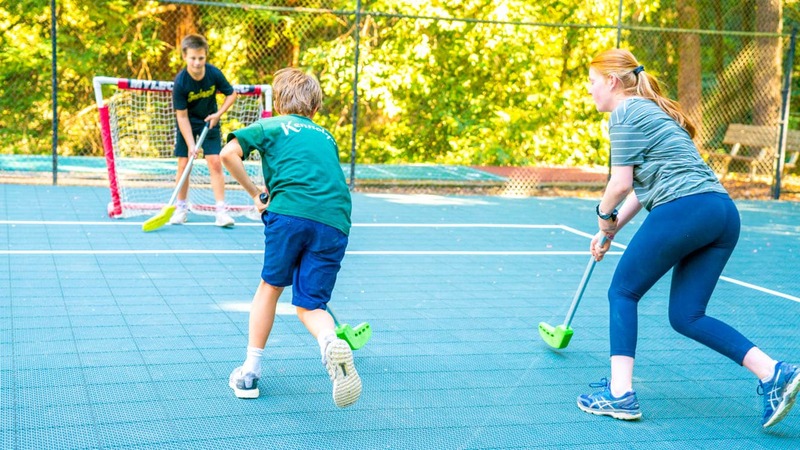 Kennolyn offers a full program of team and individual sports. 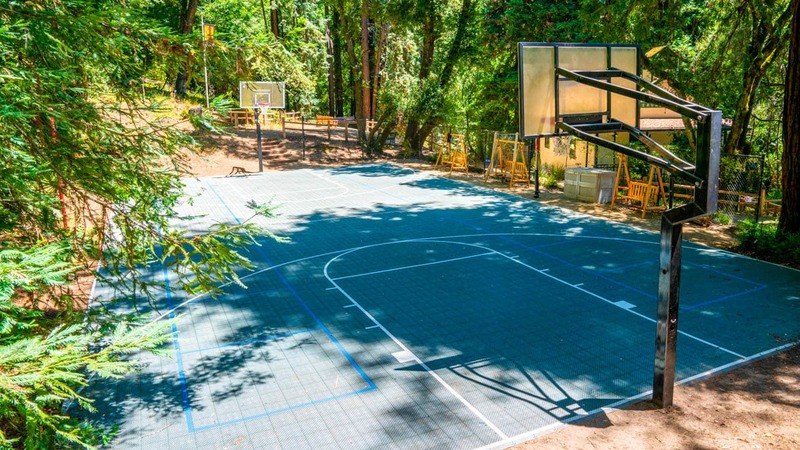 We have our own field, tennis and basketball courts, a batting cage, putting green with sand traps and driving nets, sand court for beach volleyball, archery and riflery ranges, and special areas for self-defense and fencing lessons. Our Hilltop Hacienda property also has a BMX pump and jump track. Our 25 yard swimming pool is a popular place, both during scheduled activities and free time. We offer lessons in all levels of swimming, as well as Basic Water Rescue, board diving, skin diving, synchronized swimming, water polo and traditional swim lessons. The pool is staffed by experienced lifeguards and water safety instructors. Come See Our Camp in Person!